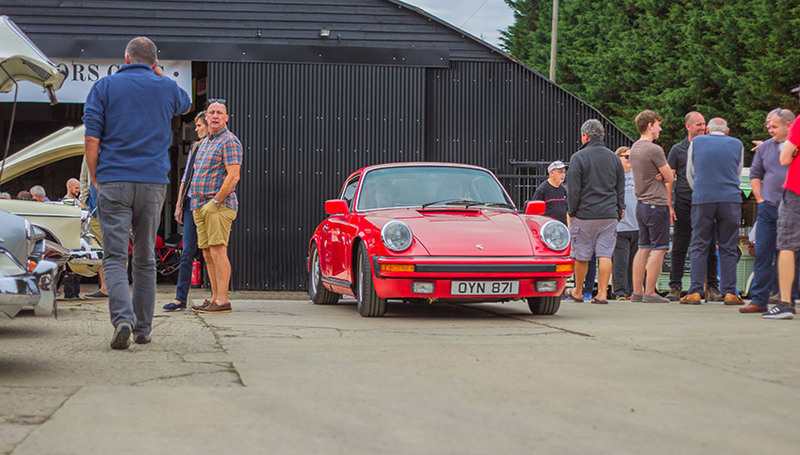 The Classic Motor Hub’s Coffee and Classics event takes place between 10am and 1pm on the first Sunday of every month from April to October. 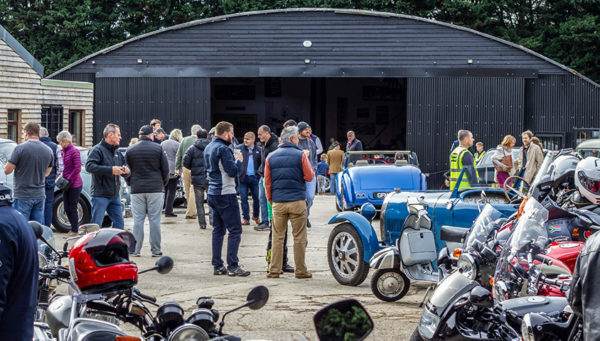 At our first Coffee and Classics of 2019, we welcome attendees in classic, vintage, modern performance and super cars, motorcycles and any other interesting machinery. 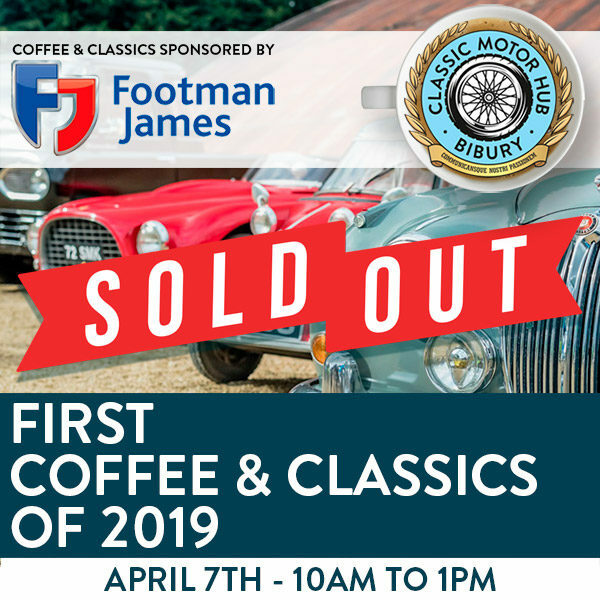 Visitors will be in the fine company of other visitors and The Classic Motor Hub team, and will have a chance to see the other vehicles attending, check out the award-wining showrooms, see the on-site private collection, browse our shop or simply converse with like-minded folk for a coffee, slice of cake or a bacon roll. Attendance for ALL visitors is strictly by pre-registration only as space for car / motorcycle parking at The Hub is limited; if you would like to come along please reserve your space today! Start by choosing the year and make of car or pick ‘motorcycle’ from the list below. If your make of car is not listed or you would like to provide further details about the vehicle you’re going to be coming in/on, please choose ‘OTHER’ and use fill out the ‘ORDER NOTES’ section at the online checkout. 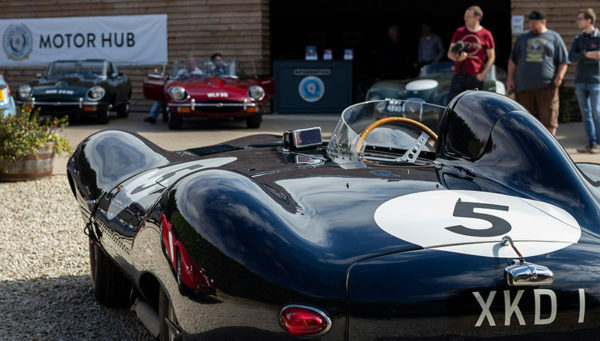 Registration is free, however we prioritise parking for classic and vintage vehicles. Spectators without a place may not be given access, as off-site parking is very limited and available on a first-come, first-served basis. Please note: We have temporarily removed Porsche from the registration list due to an influx of signups. As we like to have variety at our events, if you would like to come along to The Hub in a Porsche, please consider signing up for a future event instead. Attendance for ALL visitors is strictly by pre-registration only as space for car / motorcycle parking at The Hub is limited; if you would like to come along please reserve your space today! Start by choosing the year and make of car or pick ‘motorcycle’ from the list above. If your make of car is not listed or you would like to provide further details about the vehicle you’re going to be coming in/on, please choose ‘OTHER’ and use fill out the ‘ORDER NOTES’ section at the online checkout.